I never thought about death until…. I never in my wildest dreams thought that one day I would find myself writing about death. Occasionally, of course, I do write about aviation accidents and the many lives that they claim, but I only do that from an academic perspective. I’m one of those people who does attend funerals like any other normal human being, extending my sympathy to the bereaved…but have never really given much thought to death. But the recent Fly-Dubai accident that occurred on Saturday made me really sit down and ponder how life can be so fragile and can disappear in a split second. I must mention that my heart was very touched when I saw a father to one of the accident victims weep so bitterly. 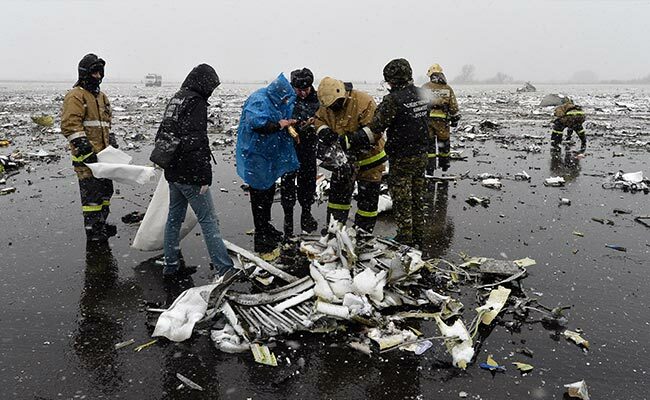 The accident claimed at least 62 passengers and crew when the B737 airplane crashed during an attempted landing in the Russian city of Rostov-on-Don. The aircraft hit the ground so hard that it broke into several pieces, killing all the passengers and crew on board. It was a very terrible accident that shook the aviation community worldwide. The reason why I pondered so much about the Fly-Dubai accident is this: Just a few weeks back I had successfully submitted my application to the airline for a Cabin Crew Position. The possibility of my joining Fly-Dubai was at an advanced stage and I was so excited at the prospect of flying on one of their many routes. Now when this accident happened on Saturday, I kept on trying to imagine how it would have been for me, had my application been approved earlier and if I had been on that particular airplane…God have mercy! This accident also made me reflect on the fact that our status in life does not matter at all. According to a Russian News wire, there were 2 high-ranking government diplomats on board who also perished in the accident. This made me realize that Prime Minister or farm laborer, Billionaire or beggar when the call of death comes we are all brought to the same level in a second! Always remember that God is present when the light lights out for you or your loved ones.